First, the good news: the International Monetary Fund (IMF) has raised its 2013 forecast for Canadian growth by 0.2 percentage point to 1.7%. That makes Canada one of only three countries receiving an upgraded forecast for the year, the others being Japan and the UK. 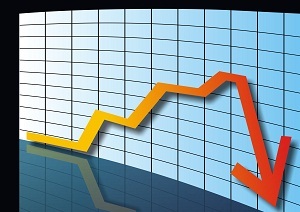 Now the bad news: the Fund has cut its 2014 Canada forecast by a 0.2 percentage point to 2.2%. Further, it has cut its 2013 forecasts for almost every country and regional bloc, maintaining unchanged forecasts for Spain and Eastern Europe and upgrading the previously mentioned trio. In its quarterly World Economic Outlook, the Fund cut its global growth forecast by 0.2 percentage point for both 2013 and 2014 to 3.1% and 3.8%, respectively. The cuts are hardly apocalyptic, say observers. Essentially, the 3.1% estimate would be the same as the actual rate for 2012, but they do indicate lower returns from global markets. The Fund said the downward revisions were largely driven by appreciably weaker domestic demand and slower growth in several key emerging markets and a more protracted recession in the euro area. The IMF cut its US growth forecast by 0.1 point to 1.75% percent in 2013 and by 0.2 point to 2.75% in 2014. The cuts were partly due to the new assumption that the sequester will remain in place until 2014. In Japan, growth will average 2% in 2013, a 0.5 point increase of the earlier projection, but will moderate to about 1.75% percent in 2014, a 0.3 point cut. The Fund expects the euro area to remain in recession in 2013, with activity contracting by more than 0.5% percent, while it sees growth at 0.9% percent in 2014, reductions of 0.2 and 0.1 point respectively. The Fund has also cut its forecasts for developing markets by 0.3 point in 2013 to 5% and by 0.3 point in 2014 to 5.4%, Forecasts for all emerging markets save for Eastern Europe have been cut for 2013 with the sharpest reductions being in the forecast for Russia, down 0.9 point at 2.5%, and South Africa, cut 0.8 point to 2%.